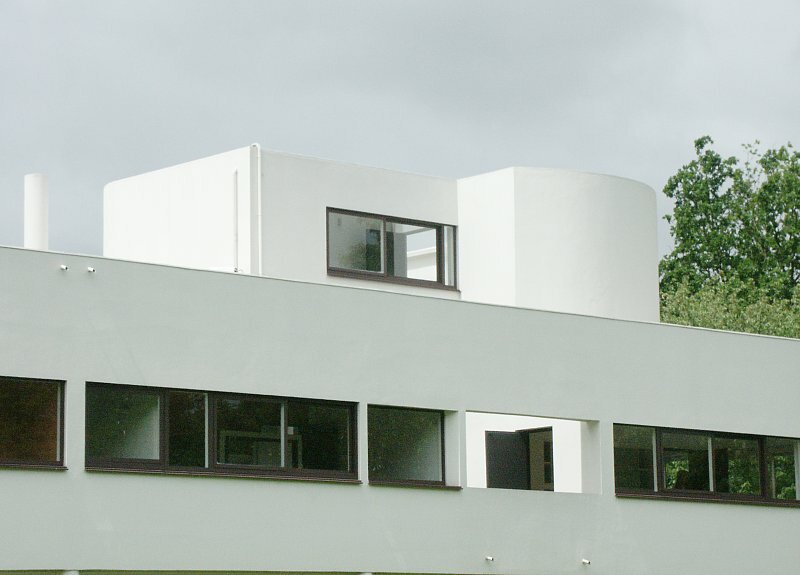 This, the sunniest facade, has at its base the three-car garage and on the first floor the unglazed windows signalling the courtyard. 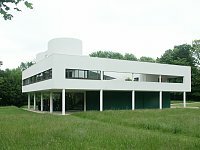 The curved form of the solarium on the third floor forms an asymmetric accent. 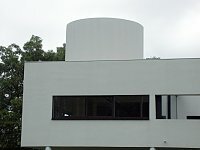 The ramp to the roof garden is visible through the unglazed windows. 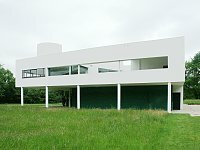 On this facade the strip windows are divided into five sections; one is unglazed and is part of the small terrace adjoining the kitchen. To its right is a glazed window, lighting the kitchen. 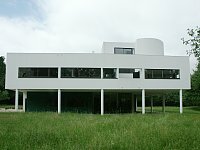 Guillemette Morel-Journel, Le Corbusier's Villa Savoye. 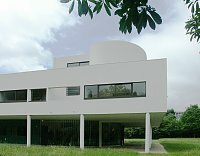 Paris: Centre des monuments nationaux. Monum, Éditions du Patrimoine, 1998. 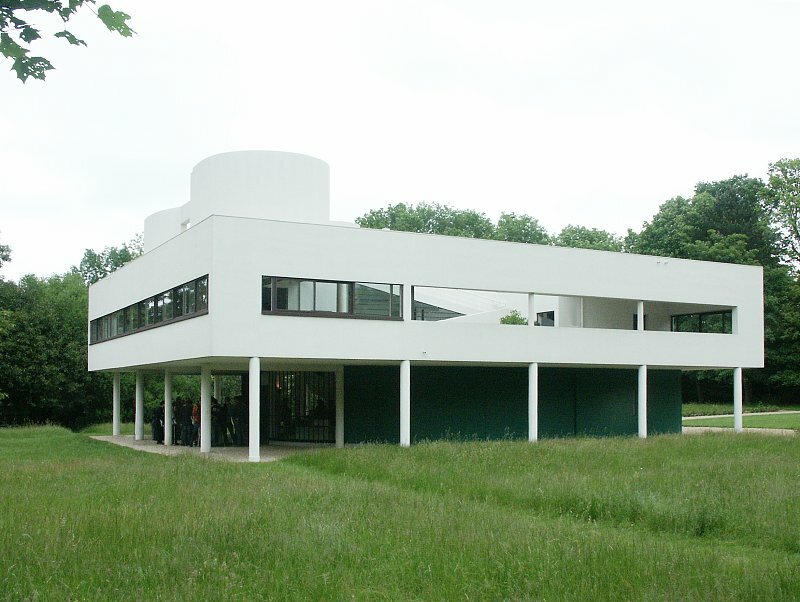 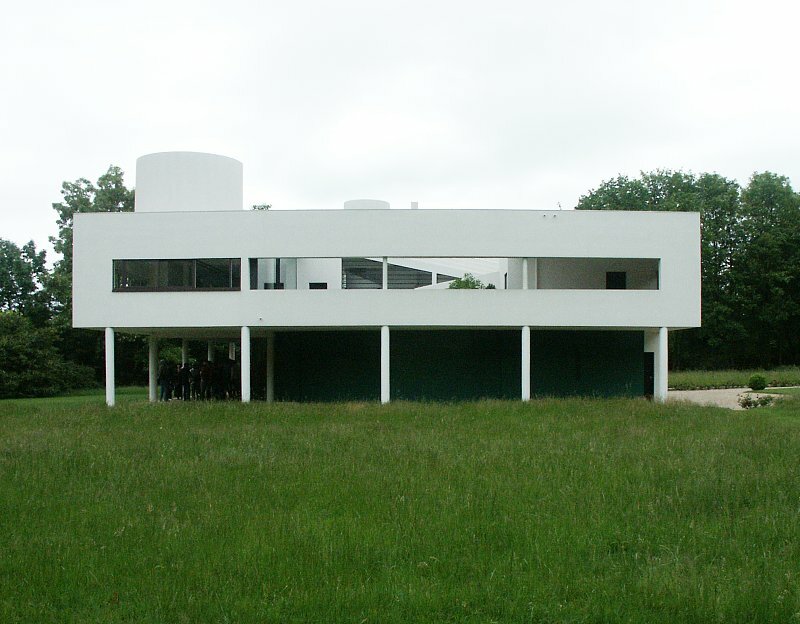 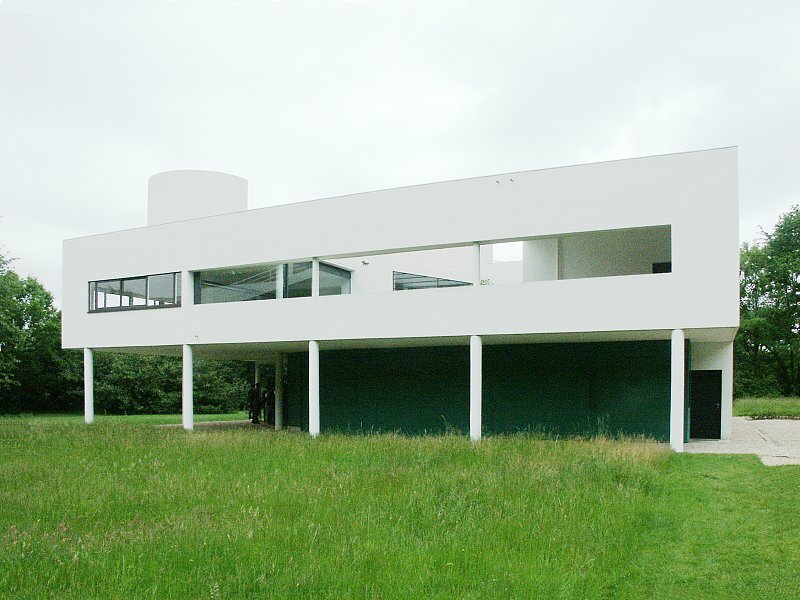 Jacques Sbriglio, Le Corbusier: La Villa Savoye. 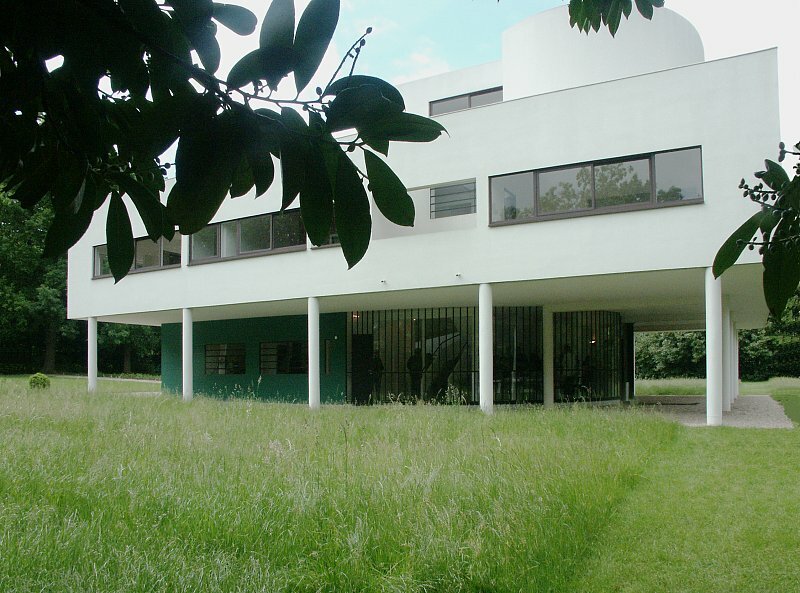 Paris: Fondation Le Corbusier, 1999. 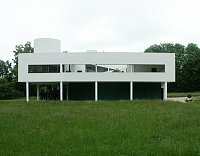 Return to Villa Savoye Index.